Bethenny Frankel Exposes Lisa Rinna's Plot To Take Down Vanderpump! 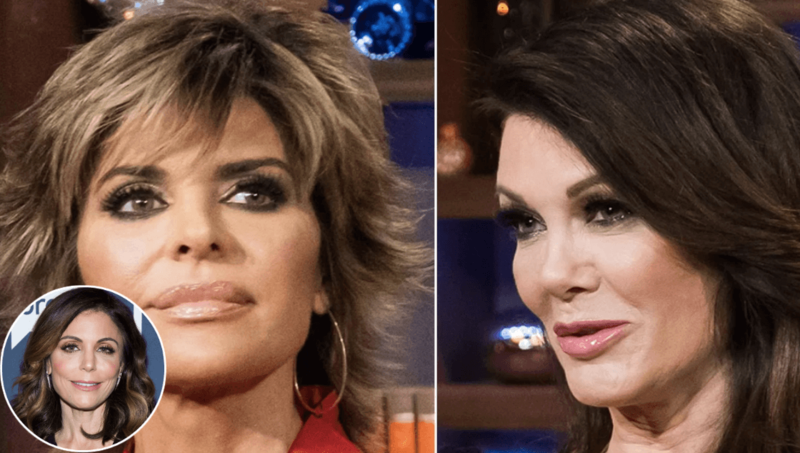 Bethenny Frankel Exposes Lisa Rinna! Real Housewives of Beverly Hills fans know that Lisa Vanderpump was skewered for allegedly exposing Dorit Kemsley’s doomed dog adoption to the press — but did it all go down according to plan? An unexpected source is hinting that the whole narrative was a premeditated set-up — designed to shove Lisa off the Real Housewives of Beverly Hills stage. Real Housewives of New York vet, Bethenny Frankel, sounded off about the drama last week during a Watch What Happens Live appearance — and dropped a quiet bomb on the controversy. Bethenny revealed that she was in communication with Lisa Rinna about the cast shakeup, and implied that Rinna was in on a plot to take down the colorful restaurateur. “But as I said to Lisa [Rinna] by text … and I don’t know all the back story, cause it’s intense and there is a lot of backstory — but if you’re going to take a shot at that V [Lisa Vanderpump], you better not miss,” Bethenny said. #PuppyGate drama has dominated Season 9 — but many fans believe that the twists and turns have been manipulated by certain cast members, determined to freeze Lisa Vanderpump out. Do you believe that Bethenny Frankel confirmed a cast strategy — and cosigned a popular fan conspiracy theory? Let us know what you think — and watch The Real Housewives of Beverly Hills, Tuesday night, at 9 pm, ET, on Bravo.